I decided to wait until I got my results before I wrote up this blog posting as I felt writing it up straight afterwards would mean I might miss something out and to see if VMware would give me credit for doing things in another way even though I made a mistake. Firstly, unfortunately I failed the exam by 23 points. This was mainly down to my making a major mistake very early in the exam and VMware not giving me the ability to fix it even though I knew how and the ability to know how to fix it is one of the exam objectives. I agree that if I make a mistake it’s only right that now I should use up my exam time fixing my mistake but not giving me the ability to fix it when in a real world situation you would have this ability isn’t very fair in my opinion. But enough of that as it’s done and seeing as I made that mistake so early on and still got so close is pretty pleasing in my opinion. For my studying of the exam, I decided I wanted to cover everything and so set myself a month and a half to study for the exam. I covered everything in my VCAP-DCA study notes list and went through both Sean Crookston and Ed Grigson’s study guides. 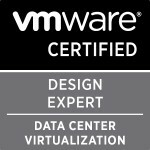 I did all four of the VCAP courses trainsignal videos (these were honestly the best for it and taught me things so in depth that even questions in the exam that was very unusual I knew them because of these videos). I also researched anything I didn’t understand and as linked to in both Sean and Ed’s study guides I read up on loads of blogs, watched loads of YouTube videos from people like Eric Sloof (you can find these by just searching for Eric on YouTube as he has loads of them up) and watched a whole load of VMworld videos. Using all of these resources prepared me amazingly; the only thing I didn’t do enough of which was mainly to blame for me making my major mistake was not enough lab hours. I’ve got so used to question and answer exams that even though I obviously knew the exam would be 100% lab based I never realised the real importance of my practicing all the tasks twenty times until I knew it without even thinking as trust me the pdf’s give you nothing apart from the real basics and if you don’t know those you won’t pass the exam anyhow. The exam was hard and is probably the hardest IT exam I have ever done (previously this title was held by my MCSE 2003 upgrade exams) but I think it is only right it is as tough as it is as it really does separate the men from the boys and really shows if you know your stuff or not. As mentioned by every one, time is extremely tight and you won’t finish all the questions unless you skip certain ones. One bit of advice I was given which was really helpful was, if you don’t know how to do the question mark it down on your notes and carry on as rather do the ones you can do rather than waste time on ones you are unsure of as I knew how to do some of the last questions just before time ran out whereas if I had sat and tried to work my through ones I didn’t know I probably wouldn’t have even had the time to see and do the ones I could. Categories: Certifications, VCAP | Tags: Trainsignal, VCAP, VCAP-DCA, VCP, Virtualisation, virtualization, VMware | Permalink.